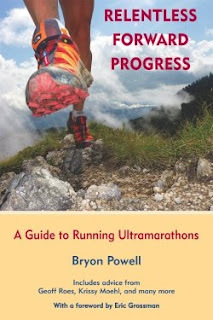 Serious Case of the Runs: A "Supreme Lack of Utility"
"... Perhaps the genius of ultrarunning is its supreme lack of utility. It makes no sense in a world of spaceships and supercomputers to run vast distances on foot. There is no money in it and no fame, frequently not even the approval of peers. But as poets, apostles and philosophers have insisted from the dawn of time, there is more to life than logic and common sense. The ultra runners know this instinctively. And they know something else that is lost on the sedentary. They understand, perhaps better than anyone, that the doors to the spirit will swing open with physical effort. In running such long and taxing distances they answer a call from the deepest realms of their being -- a call that asks who they are ..."